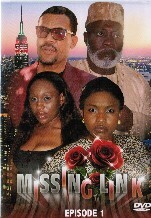 Some proper missing folk in the industry have turned up in this production. That would be Ebube Nwagbo and Benita Nzeribe. I’m glad Ebube is over the heartbreak she suffered, and done with dedicating all her time into partying and promoting Posh Hair, ready to throw herself back into acting. I felt that when she left she was soaring but had yet to fulfil her potential. Benita I’m kind of indifferent about although she played her role perfectly in Peacemaker (wonderful movie y’all) Halima was more than good. I don’t think she gets enough credit for the good job that she does, I particularly love her in comedic roles. She can be hilarious. Jibola Dabo is a pervert again. Whyyyyyy? Can’t he play anything else? He is becoming increasingly typecast and as soon as I see his name I know to expect him to be acting in a creepy pervy way. Ewww the sight of him just makes my skin crawl now. Naaaaaa witch! Just not backing ignorant useless judgements. That would have been the perfect time for Angel to ask Mercy why her own father is so irresponsible considering that his marriage is still in tact. I would love in a movie for a man to bring home another woman to move in with them as is often the case when the woman can’t have a child or gets too old and the woman just takes it coolly and goes and brings a toy boy home. I would sooooo love that. I haven’t seen that happen in a movie before, probably because it isn’t something that happens in real life, nevertheless I would still like to see it. Both girls are working and although they are from poor backgrounds earn an honest living. Is it dishonest then to use men for luxuries such as throwing parties? Do we feel more sympathy with Angel because she embarks on a relationship with chief to support and educate her family? Is that deemed more honourable? Do Nigerian parents put too much pressure on their children to provide when it is beyond their means? In some movies you will see students who return to the village driving hummer jeeps and dripping in expensive jewellery and their parents are are rejoicing. Why would you rejoice when you know they don’t work and most probably only received the money through illegal means? When you find out it is through illegal activities you will then be lamenting that you didn’t raise your child that way. The irony in the movie is that Mercy takes Angel to meet her father but refuses to take Irene for fear that she may seduce him. Is there some truth in the line of thought that it is the quiet ones that need to be watched? It was easy for Angel to start having an affair with Mercy’s father undetected because Mercy did not see her as loose the way in which she saw Irene. Oh yeah! Sister indeed! It didn’t even take a second for her to take up Chief’s offer of becoming his kept mistress despite obviously knowing the hurt it would cause her friend should she find out. With friends like this who needs enemies? Do you agree with this? Is it an inevitable action that women should turn a blind eye to? Or is it a deal breaker? Is infidelity worth ending a marriage over? How did that flimsy slap knock Angel out cold at the end of the movie? Say What? I would recommend this movie. The story was nothing out of the ordinary but well told and kept me wanting to know how exactly each situation was going to pan out. Good job by the whole cast. We all know that UJU was on downward spiral with the predictable boring royal storylines but he seems to have cleaned his act up. I’m pleased. Ebube and Benita are back. Not with a bang but back nonetheless. I loved the twists. I was not expecting that at all. The movie ended well and was enjoyable to watch. There is a lesson learnt and that is that reckless behaviour always has its consequences. http://www.AfricanTitles.com : Loved every minute of this title. @AfricanTitles Like what exactly did you love? "Leila Djansi’s Sinking Sands Movie.This Nollywood goes Hollywood movie definitely looks like it is going to be one to watch out.."
I'm sure Ghanaians, Sierra Leonians, Cameroonian and other African countries don't appreciate their movies being called Nollywood movies. Give credit where it is due. 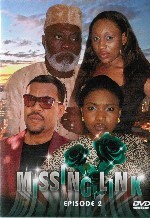 Oh, what the deal calling the nigerian industry nollywood? That is stupid but it seems you enjoy it as an honour to call the industry hollywood, ooops nollywood. God help us – when are africans going to think for themselves!!! Awww this movie yea I just love it..the soundtrack music get an A+ btw this same music is a part of the movie “Four Sisters” love that movie too..both are part of my collection.